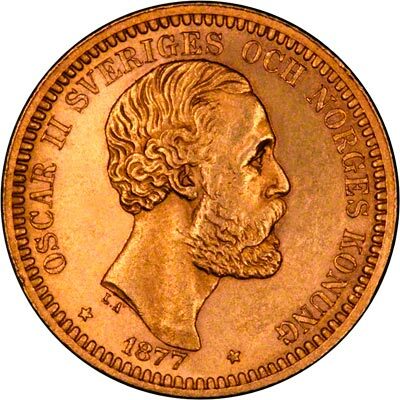 Sweden is part of Scandinavia, a group of countries occupying north west Europe, including Denmark, Finland, and Norway, and its history has been closely related to that of these other Scandinavian countries. 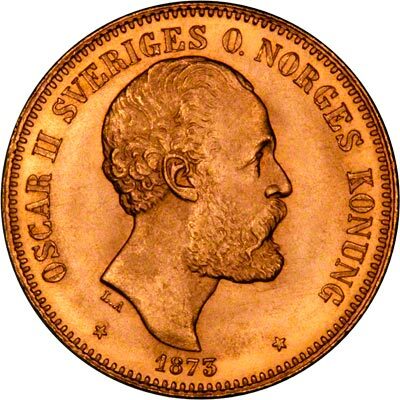 Sweden was founded as a Christian monarchy by Olaf Skottkonung in the 10th century. It conquered Finland in the 13th century, but was itself, along with Norrway, conquered by Denmark in the 14th. Gustav Vasa overthrew the Danes in 1523, and Sweden became a great European power in the 17th century. Its power began to decline when it made the common mistake of trying to invade Russia, and by 1809 had been stripped of most of its foreign lands. 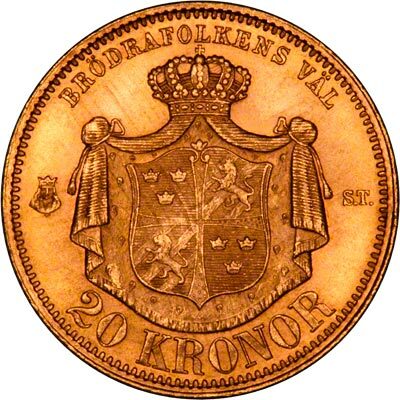 From 1814 to 1905, Norway was under Swedish rule. In 1975, Sweden acquired a new constitution which reduced its monarchy to a ceremonial role. 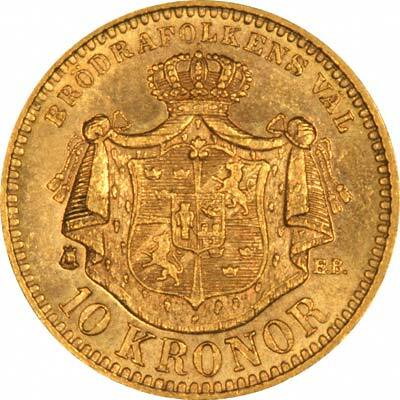 Before 1873, Sweden issued gold coins denominated in Marks, and also trade coins denominated in ducats. 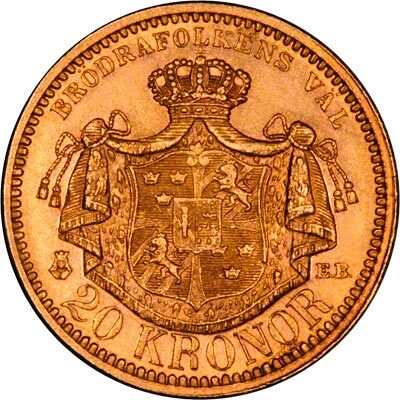 In 1873, it adopted decimal currency, since when its gold coins have been denominated in kronor, the singular of which is krona. 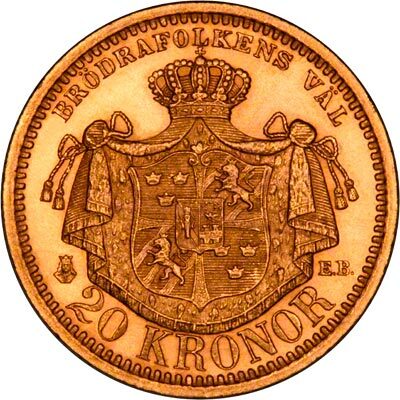 For silver and base metal coins of Sweden, please look at our original Chard Coins website. 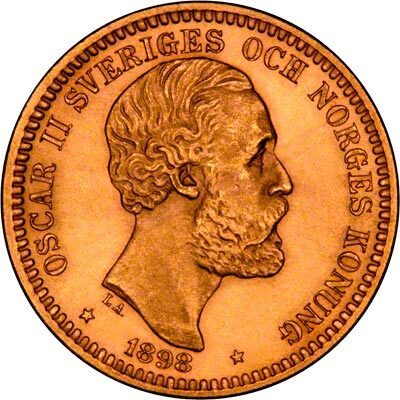 We make an active market in almost all world coins, gold or otherwise, including Swedish gold coins. If you have any of these coins to sell, please contact us, or post them to us for appraisal and offer.